Imagine thousands or even millions of citizens' names mysteriously disappearing from a database. Then when election day comes along, they find out they aren't registered to vote. Some security experts warn that this scenario isn't totally far-fetched and could deny citizens from casting ballots. "If that happens to a few voters here and a few there, it's not a big deal," said Dan Wallach, a professor at Rice University who studies electronic voting systems. "If that happens to millions of voters, the processes and procedures we have would grind to a halt." Hackers have set off worries about voter registration tampering in recent months, when they were detected targeting state election systems. In one of those cases, the perpetrators stole the login credentials of a state county official -- potentially allowing hackers to modify or delete the voter registration records within the jurisdiction. "One of the biggest concerns would be is if this creates chaos at the polling place because there aren't enough provisional ballots," she added. Hackers with access to a voter registration database could also tamper with the election in other ways. Changing people's addresses, for instance, could alter where their mail-in ballots are sent to. "If your ballot got misdirected, you might not realize it until it was too late," Smith said. "The voter registration systems are not cataloged in the same way as voting machines," he said. "There's no certification process for them because it's not considered voting." The FBI has already warned election officials about one particular instance. In August, the agency released a bulletin, stating that one election site had been hit with an SQL injection attack -- a common hacking technique used to tamper with a website. There's certainly security risks that need to be addressed, said Tod Beardsley, research manager at security firm Rapid7. "If there's an appearance of tampering, then you can bring doubt about the election's veracity," he said. Nevertheless, hacking an election would be far from easy, he added. For example, there's no central authority when it comes to ballot counting or voter registration. Instead, management of U.S. elections is spread out across 50 different states, and then to thousands of counties. "The idea that Russian hackers can just come in and hack the election would take a lot of work," he said. "It's way cheaper to bribe an election official, a tried and true way of election tampering." 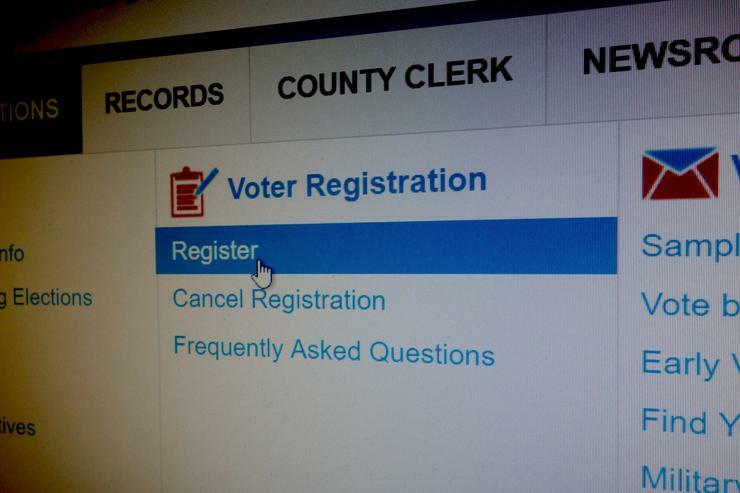 "L.A. County's voter registration system is not public-facing and is not connected to the Internet," the county clerk's office said in an email.